Each day in Holy Week is devoted to a particular theme, and since they pass quickly, here they are for your meditation in advance. PALM SUNDAY: The Entrance of our Lord into Jerusalem is one of the Twelve Great Feasts of the Christian Faith, and celebrated with great honor. We commemorate his entrance into His saving Passion for us, and like the Apostle Thomas, prepare ourselves to “go and die with Him,” following the services of Holy Week which follow. A grand procession of palms will take place at the end this Sunday’s service. 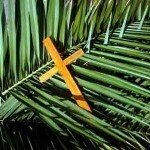 HOLY WEEK BEGINS: On Palm Sunday evening the Services of Holy Week begin. In the Gospel discourse of these first three days, Jesus speaks with clarity concerning the end of this age. 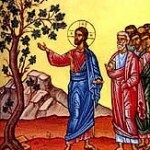 HOLY MONDAY: The Theme of Monday in Holy Week is the barren fig tree, which yields no fruit and is condemned, reminding us that believing is not enough – we must bear fruit before the Coming of the Lord.The message for believers is very clear: bear spiritual fruit now, and do not wait, for the Just Judge will come with you do not expect Him. 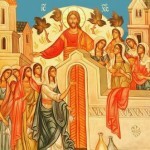 HOLY TUESDAY: On Holy Tuesday we remember the parable of the Ten Virgins, five of whom were wise, five of whom were foolish, and the parable of the Talents. Like the wise virgins, we must be ready, and prepared, for the unexpected Coming of the Lord.We are filled with “holy fear” as we listen to Him prophesy the Last Judgment (Matthew 24:36-26:2).The eschatological theme of Holy Week magnifies. HOLY WEDNESDAY:The special theme of Holy Wednesday is the commemoration of the repentance of the sinful woman, and compares her with Judas, who speeds to betray and sell the Creator of the Universe for 30 pieces of silver. 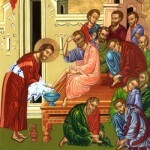 The service of the Mystery of Holy Unction is celebrated on Wednesday evening, to prepare us for entrance into Christ’s Resurrection.We also remember His great humility, and the washing of the feet of the 12 Apostles in Anticipation of the Holy Eucharist. 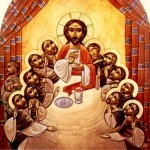 HOLY THURSDAY: On this day, we commemorate the institution of the Holy Eucharist. The entire mission of Christ, and indeed the very purpose for the creation of the world in the first place, is so that God’s beloved creature, made in His own divine image and likeness, could be in the most intimate communion with Him for eternity, sitting at table with Him, eating and drinking in His unending kingdom. 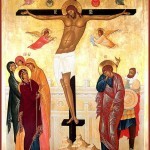 GREAT & HOLY FRIDAY: The Matins service, celebrated on Thursday night, recounts the betrayal and crucifixion of our Lord. The 12 Passion Gospels are read, recounting the entire Scriptural account of the Lord’s Passion. After the service of Great Vespers on Friday afternoon, the Tomb of the Lord is decorated with flowers, and we begin our Vigil, remaining with the Lord, reading the Psalms over the Tomb and Shroud of Christ until the Paschal Vigil. 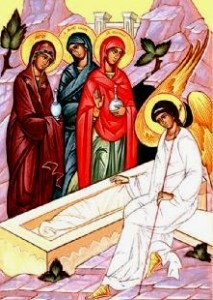 HOLY SATURDAY: Holy Saturday celebrates the Great Sabbath, when our Lord Jesus Christ rested, in the tomb, from His labors for our salvation. It also uniquely commemorates the victory of Christ over the powers of hell. During the Matins (sung on Friday night) the Lamentations of the Righteous Man Who loves the Law of the Lord, our Lord Jesus Christ, as presented in Ps. 119. The Liturgy on Saturday morning is especially joyful, as the cloths of the Church are changed from Dark to White in anticipation of the Resurrection! This service begins at 11:30 pm Saturday night, going from dark to light, and we begin our feast immediately afterwards, with the blessing of Pascha Baskets. There is no service on Sunday morning, but a joyous Paschal Vespers at 12 Noon! Holy Week is the most beautiful, meaningful, and moving times of the year. 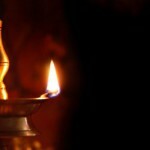 Enter into it fully, deliberately and leave the worldly cares in the world.